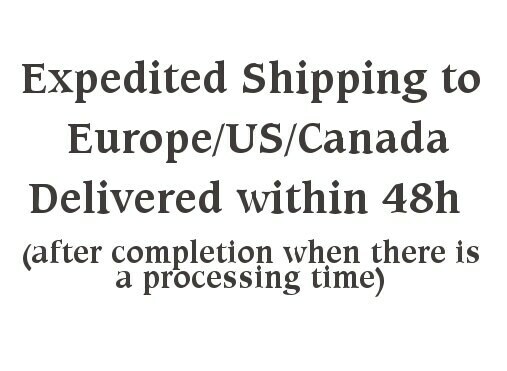 Shipping option - superfast shipping to Europe (also non EU Members), US and Canada. If you need expedited shipping to another country please convo me for shipping times and rates. The item will be delivered within 2-4 working days after completion. Please convo me to find out when your item will be ready. This differs due to order situation and cant be stated generally. Your item will be shipped from Germany. Your phone number is necessary for this service, please provide it during checkout or via convo.